A couple of years ago, I never would have expressed a desire for wallpaper-- but lately I haven't been able to get enough of the modern, graphic takes on the trend popping up everywhere I look. I especially love the idea of covering a small space, like a powder room, entry, or office, in a quirky print. 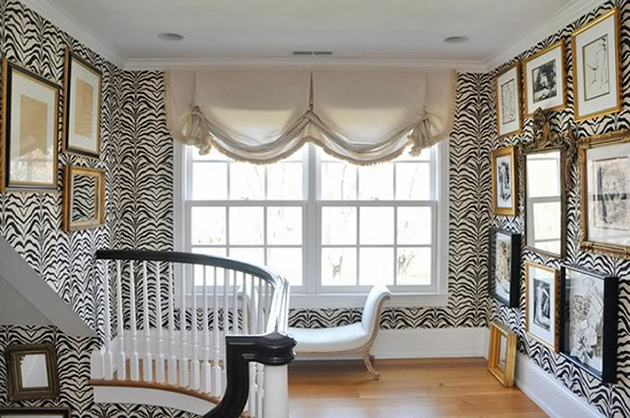 Basically, my love for animal print is officially creeping its way into my home decor style... and I'm not complaining. What's your stance on wallpaper?